The magical quandary this episode is a town where everyone is old. Worse, The Librarians made the Florida joke before I could! So the whole town has been artificially aged and it’s time to investigate why with lots of questions and investigations with all five of the main gang going to the town (ok I know many will disagree but I kind of love that Flynn manages to make the “We’re Librarians” line work when Stone and everyone else never can). We also have a nice small moment of Cassandra being almost intrigued by aging since she’s finally considering the possibility for herself now she’s not facing terminal illness any more. I’m all ready to call imposter but it turns out we have a genuine time travelling Librarian. I then cringed and expected lots of posturing between Flynn and Dare - but it turns out Flynn is a complete and utter fanboy of Dare’s, having read his Library record and clearly stylising a lot of his persona and technique on Dare’s. His fanboiing is both cringeworthy and cute - and Eve is wonderfully clear in tolerating his silliness.The other Librarians are less amused that Dare considers them “assistants” and it’s annoying that that’s pretty much how they’re considered for this whole episode. The aging is caused by Dare’s nemesis, Ambrose Gethic. It seems Dare and Gethic have been fighting each other for pretty much ever to the extent that it consumes both of their lives. Gethic was the one who created a time travel portal which Dare followed him through. As Dare recounts his story, Flynn also realises that Dare is close to the date of his death - when he goes back he dies tomorrow. Cue angsty “can’t alter the time line” trope. I also question why one example is considered a rule forever more: these are intelligent scientists and academics, they should know better than to make a rule from one narrow example. 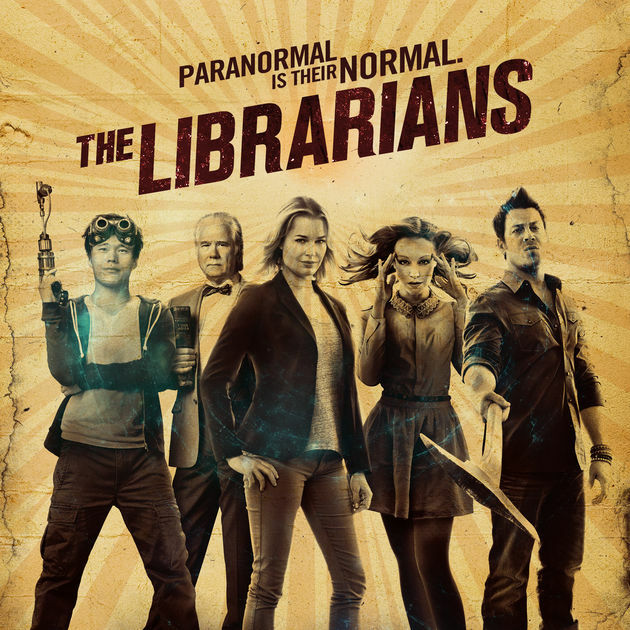 Or not to consider whether four librarians will be better placed to stop one rogue member. As opposed to a gun, knife or bomb. I mean he charges a sword with magic and fights Dare - but you’re telling me a normal sword wouldn’t do the job? Especially since Ambrose is clearly the better fencer. You’re going to use time travel rather than paying 10 goons to hit him with sticks? Hey he’s from the Victorian era, he can probably get some bargain goons. Instead Flynn throws Jenkins in the machine believing his super super ancient Librariness will overload the machine - which does, killing Ambrose. Personally I would have gone with sword fight since it would have worked without risking super charging Jenkins but that’s just me. Also I would have seen Galahad stab people again which is always awesome. In the aftermath Dare is taught the importance of friends and teamwork and is returned to his time. Which is nice: especially since his upgraded biography now shows him living much longer. The attack that killed him now fails because he has friends who back him up. Which is nice he learned - but he still leaves Flynn a note saying he needs to fire them all because multiple librarians are a bad idea. 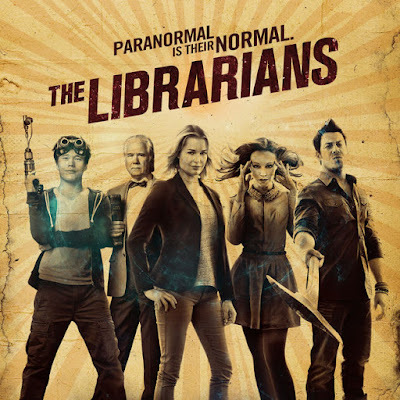 So either The Librarians needs to keep making equally convoluted reasons for Flynn not to be part of group: or, as seems to where we’re going, a storyline where they confront this and set up a new dynamic. I have a feeling i won’t LIKE this storyline but will probably appreciate where they end up: if it goes well. But it depends where it ends up. Flynn as a more support character (as hinted in the earlier episodes) a la Jenkins or M? Could work. Flynn as leader and them as sidekicks? I’m not a fan of at all. Him as just another member of the group? Would be ideal but how would that work given the above? Is someone - maybe Flynn himself - going to be removed? They’re addressing a central problem on the show, but I’m concerned that there are no good results here. This is all also going to cross with the ongoing conflict of The Library is All vs The Library is an Institution with all the potential flaws and problems inherent and can’t be considered to be such an overwhelming priority.